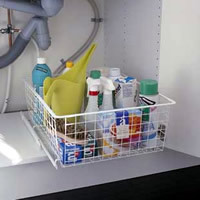 This elfa gliding basket unit is a great way to de-clutter under the sink or inside any cupboard where access is an issue. 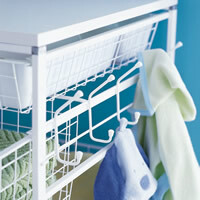 Stop your elfa drawers falling out and spilling their contents with our translucent in/out basket stops. Simply clip into place to keep drawers from pulling out too far. Use two per drawer. 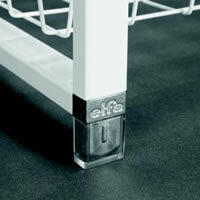 Our translucent elfa frame feet will stop the bottom of your elfa drawer frame from scratching or marking your floors. A useful addition, unless you're using casters. 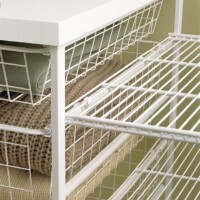 When using two basket towers side-by-side, our frame clips with join the drawer towers together for extra rigidity. The clips can also easily be removed if you decide to separate the frames. 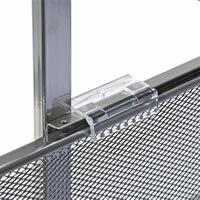 Snaps onto an elfa wire or mesh drawer to allow quick identification of the contents...the ultimate time-saver! Finish off your elfa drawer unit with a 35cm wide melamine top by selecting either a 44cm or 54cm depth to match your tower. 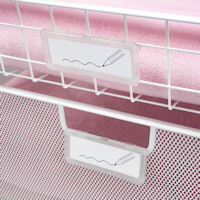 Comes with double-sided adhesive pads to insure it stays securely on top of your drawer tower. Finish off your elfa drawer unit with a 45cm wide melamine top by selecting either a 44cm or 54cm depth to match your tower. Comes with double-sided adhesive pads to insure it stays securely on top of your drawer tower. Finish off your elfa drawer unit with a 55cm wide melamine top by selecting either a 44cm or 54cm depth to match your tower. 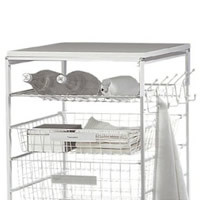 Comes with double-sided adhesive pads to insure it stays securely on top of your drawer tower. 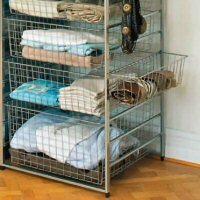 Need extra storage space for socks, scarves, toys, toiletries or power tools? 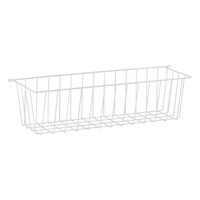 The platinum elfa side basket hangs on the side of any 54cm deep elfa drawer system or can also be mounted alone on a door or wall. Need extra storage space for socks, scarves, toys, toiletries or power tools? 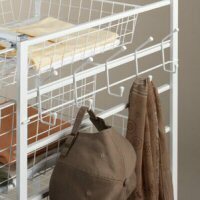 The white elfa side basket hangs on the side of any 54cm deep elfa drawer system or can also be mounted alone on a door or wall. Use for belts, ties and other accessories. Our 32-hook elfa rack hangs on the side of any elfa drawer tower and can also be mounted alone on a door or wall. Need extra storage space for socks, scarves, toys, toiletries or power tools? 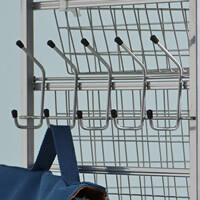 The elfa side basket hangs on the side of any elfa drawer system or can also be mounted alone on a door or wall. 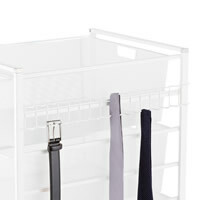 Need extra storage space for socks, scarves, toys, toiletries or power tools? 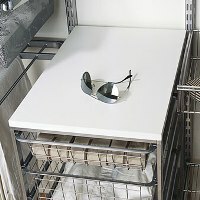 The white elfa side basket hangs on the side of any 44cm deep elfa drawer system or can also be mounted alone on a door or wall. Use for belts, ties and other accessories. Our 32-hook elfa rack in platinum hangs on the side of any 54cm deep elfa drawer tower and can also be mounted alone on a door or wall. 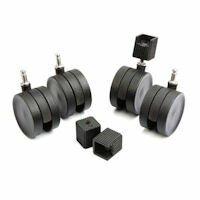 Set of 4 fully adjustable frame feet for use on an elfa basket tower. Ideal for balancing out a tower on uneven flooring. Use for belts, ties and other accessories. 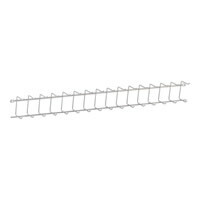 Our 32-hook elfa rack in white hangs on the side of any 44cm elfa drawer tower and can also be mounted alone on a door or wall. Use for belts, ties and other accessories. Our 32-hook elfa rack in platinum hangs on the side of any 44cm deep elfa drawer tower and can also be mounted alone on a door or wall. 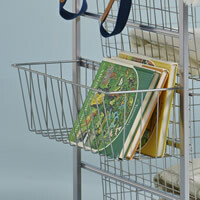 Want to put a length of 60cm or 90cm elfa shelving between two elfa basket towers for additional storage? 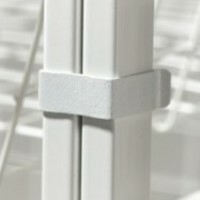 Use our pack of 4 white snap-on shelf clips. Shelves sold separately. 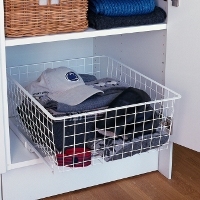 This gliding basket unit is a great way to de-clutter inside wardrobes or cupboards where access is an issue. Several width and height options available to suit any space! 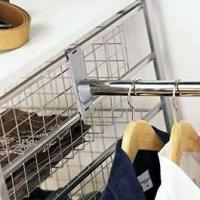 Want to put a clothes hanging rod between two basket towers for hanging storage? 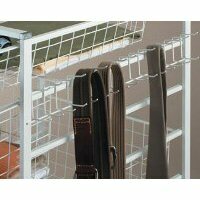 Use our set of two 'frame-to-frame' clothes rod hanging clips which slot neatly onto any elfa frame. Click on picture to see how good it looks in use! 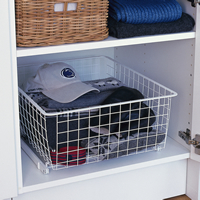 Stop your elfa mesh drawers falling out and spilling their contents with our translucent in/out basket stops. Simply clip into place to keep drawers from pulling out too far. Use two per drawer. Perfect for hanging hats, coats, bath robes, towels, kitchen utensils etc. The platinum hook rack hangs conveniently on the side of any 54cm deep elfa drawer system or mounts onto a wall or door. Perfect for hanging hats, coats, bath robes towels, kitchen utensils etc. The hook rack hangs conveniently on the side of any 54cm deep elfa drawer system or mounts onto a wall or door. Perfect for hanging hats, coats, bath robes, towels, kitchen utensils etc. The platinum hook rack hangs conveniently on the side of any 44cm deep elfa drawer system or mounts onto a wall or door. Perfect for hanging hats, coats, bath robes, towels, kitchen utensils etc. 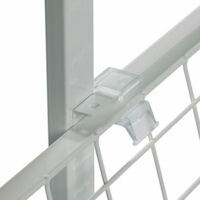 The white hook rack hangs conveniently on the side of any 44cm deep elfa drawer system or mounts onto a wall or door. 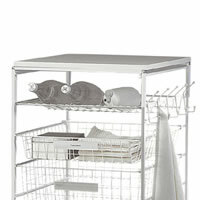 A 35cm wide x 54cm deep sliding bottle / shoe rack for elfa basket drawer towers in a white finish. 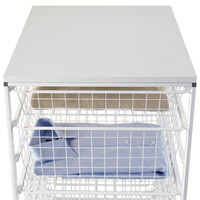 A 25cm wide x 54cm deep sliding bottle / shoe rack for elfa basket drawer towers in a white finish. 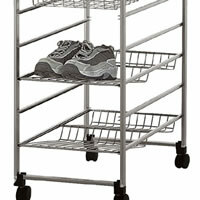 A 35cm wide x 54cm deep sliding shoe or bottle rack for elfa basket drawer towers in a platinum finish.